WASHINGTON The Department of Homeland Security (DHS) Science and Technology Directorate (S&T) announced today a $198K award to PetPace LLC to assess their product’s ability to provide real-time health monitoring of U.S. Customs and Border Protection’s (CBP) canines. The project is awarded under the Silicon Valley Innovation Program (SVIP) Other Transaction Solicitation (OTS) aimed at non-traditional performers to offer solutions to some of the toughest threats facing DHS and the homeland security mission. This is the first award under the K9 Wearables Solicitation, one of five active calls under the SVIP. 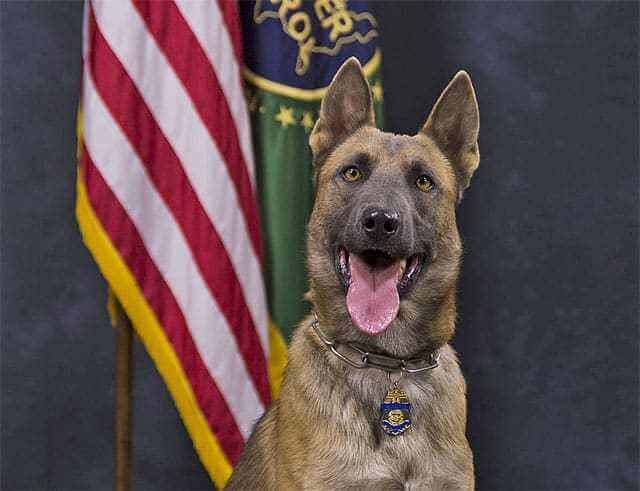 Photo of a Border Patrol Canine CBP has one of the largest and most diverse canine programs in the country with more than 1,500 canine teams trained in disciplines such as search and rescue and firearms and currency detection, said CBP Acting Commissioner Kevin McAleenan. Our canines are vital partners in achieving CBP’s mission and often operate in intense climates with serious physical demands. This program provides an opportunity to gather new data in the training environment which could translate to improved animal performance and care in the field. Canine teams are the silent heroes of homeland defense, said Acting DHS Under Secretary for Science and Technology Dr. Robert Griffin. I am pleased S&T can identify and leverage some of the cutting edge technologies in the field with the potential to improve the training and welfare of the Department’s working dogs. Photo of a CBP CaninePetPace will demonstrate how existing technology to track vital signs and physiological data can be operationalized for CBP canine teams. Project milestones include independent laboratory test and evaluation and in-theater demonstrations.